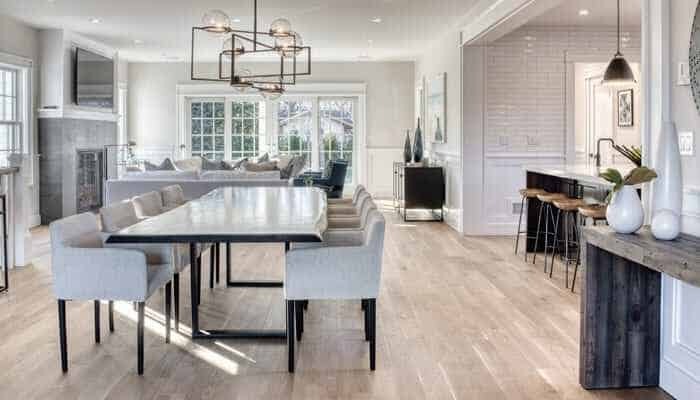 The Goods – Located off East Hampton’s finest address, Further Lane, you will find this extraordinary estate designed by the talented architecture firm AML. This unique property has everything required for a world-class retreat – 8,000 square feet of open living spaces, 8 bedrooms, 9.5 bathrooms, five fireplaces, separate guest quarters, and state-of-the-art chef’s kitchen, with plenty of room for entertaining with style. The exterior boasts three pristine, oceanfront acres, as well as potential for unique beachfront bungalow, infinity edge pool and spa, and Har-Tru tennis court with covered sitting area, changing room, and bathroom. The best oceanfront package on the market, representing a true oceanfront compound! The Goods – With a picturesque setting across from Otter Pond, this 4,100 +/- square foot, 3 level entertainer’s dream home offers 5 bedrooms, 4 full and 2 half baths and features an open plan great room living space with gas fireplace, dining and a custom chef’s kitchen. Seamless indoor-outdoor entertaining with sliding glass doors to a covered stone patio with a built-in BBQ island. The Goods – This spectacular 1.70 acre scenic property sits at a prime location. One main building with seven guest rooms PLUS five additional cottages. 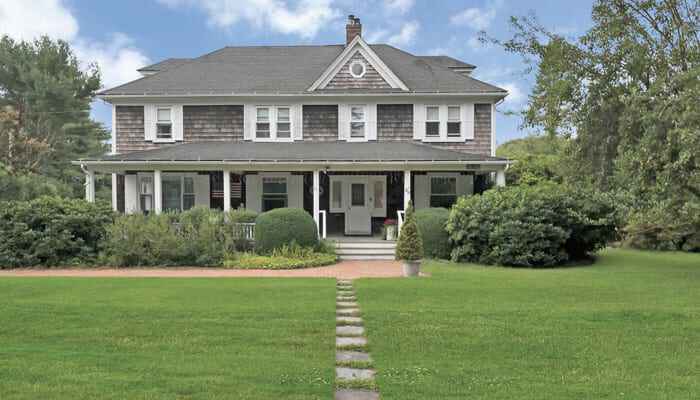 Situated in an extremely desirable south of the highway spot, just a short distance to the ocean and Village of Amagansett. Gorgeous grounds with room for a grand estate. The Goods – Wonderfully updated Amagansett Dunes beach house. The home features an upper level great room with vaulted ceilings, and a south facing wall of oversized windows. Sliding glass doors off the living and dining areas lead out to an extensive wrap-around deck where you can enjoy ocean breezes, views of the dunes, and the peaceful sounds of the surf. The open kitchen includes stainless steel appliances and custom cabinets with quartz countertops. Two bedrooms and a stylish full bathroom complete the upstairs. The lower level features a second living area, two additional bedrooms, full bathroom with double vanity, and a generous laundry/utility/storage room. Sliding glass doors lead out from this level to the lower deck with large outdoor shower and access to the front and back of the property. 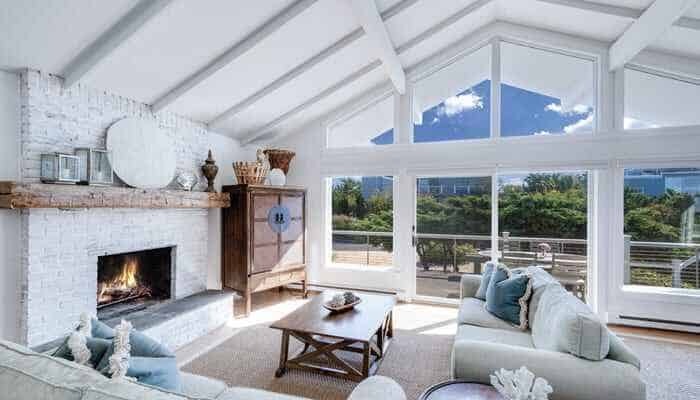 The Goods – The home is exceptional – 8,200 square feet of designed interior with 11-25’ ceilings. Two gracious living rooms and a magnificent kitchen – with 2-story breakfast room, butler’s pantry and covered porch – face south to a backyard with sun all day. But unlike any other house, every room in front has the most magnificent protected year-round views – 38 rolling acres of lawn, peppered with riding fences and the occasional prize-winning horse. This is one of a few Hampton properties that is every bit as pretty in the winter and spring as in summer. The house setting could never be replicated – and never for this price! The Goods – Gorgeous modern home in Red Creek Ridge with many upgrades including new HVAC, propane tank and pool heater, and decking. Living room, dining room, kitchen, sun room, four bedrooms, four bathrooms, laundry room, and two-car garage. 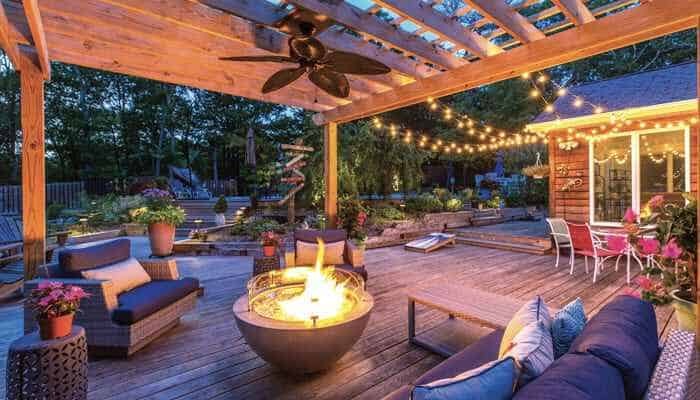 Outside enjoy your oasis style space perfect for entertaining with in-ground heated pool, expansive decking with pergola and lighting, waterfall pond, and fire pit. A must see in a private area.